Visit the links below for more information on the study abroad programs available from Keio (available in Japanese). Keio offers double degree programs with other world-class universities. 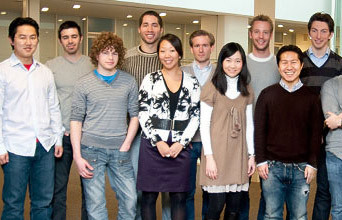 Students study at Keio and at the partner institution, and are awarded degrees from both upon completion. Keio offers over 800 courses and an ever-increasing number of degree programs delivered in English. Get a taste of education, research, and student life through one of the short-term programs Keio has to offer. More information on study abroad at Keio for students from one of Keio’s partner institutions. 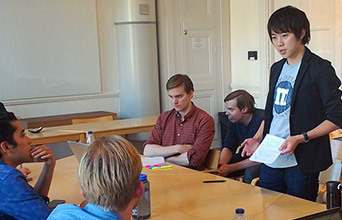 The Center for Japanese Studies offers courses on the Japanese language and Japanese studies to suit the diverse needs of Keio’s international students. The International Center manages various programs, such as short and long-term student/faculty exchanges with universities abroad, courses taught in English on Japan and East/Southeast Asia, etc. The Center also organizes lectures and seminars by international scholars. 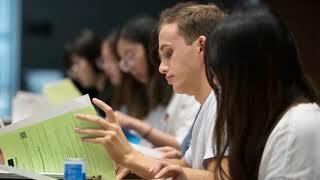 In addition to its role administering academic programs, the International Center also assists international students and scholars coming to Japan, by arranging subsidized housing and providing a range of services, including information on available scholarships and events. You can find international student numbers inside the Keio University Fact Book here.